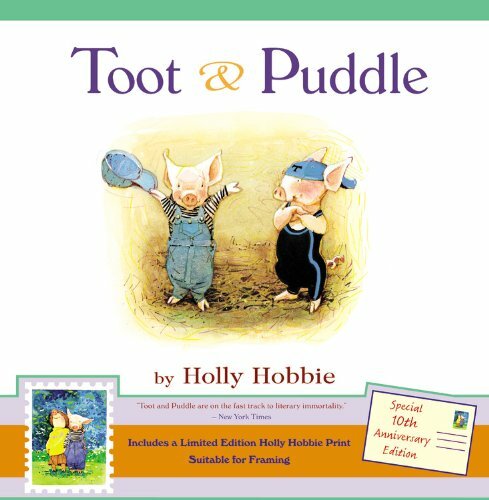 Celebrate the 10th Anniversary of Toot & Puddle with this redesigned hardcover edition of the story that started a series. This anniversary edition of the book includes a limited edition Holly Hobbie print suitable for framing. One day Toot takes off to see the world, while Puddle decides to stay home. This is the story of their wonderful adventures both far away and right at home. It's a story about being yourself and being a good friend. If you have any questions about this product by Hachette Book Group, contact us by completing and submitting the form below. If you are looking for a specif part number, please include it with your message.